Cold weather coming! Every farmer and gardener is scrambling now. It’s like a drill on and aircraft carrier, you know it’s coming but really don’t want to have to do it. It happens every spring but this year is more extreme than most with the record 80 degree days and warm 50 and 60 degree nights. They say we are going to have four nights below freezing (Thursday through Sunday) which is also more extreme than the usual two. Now most of the crops out there in the field are cool season types that can take a light freeze so we are not worried about them. It is the flowering and fruiting crops that most of us are trying to protect. I know the strawberry growers will not get much sleep the next week, staying up all night either waiting for the temperature to drop low enough to start the irrigation pumps or trying to keep them running. 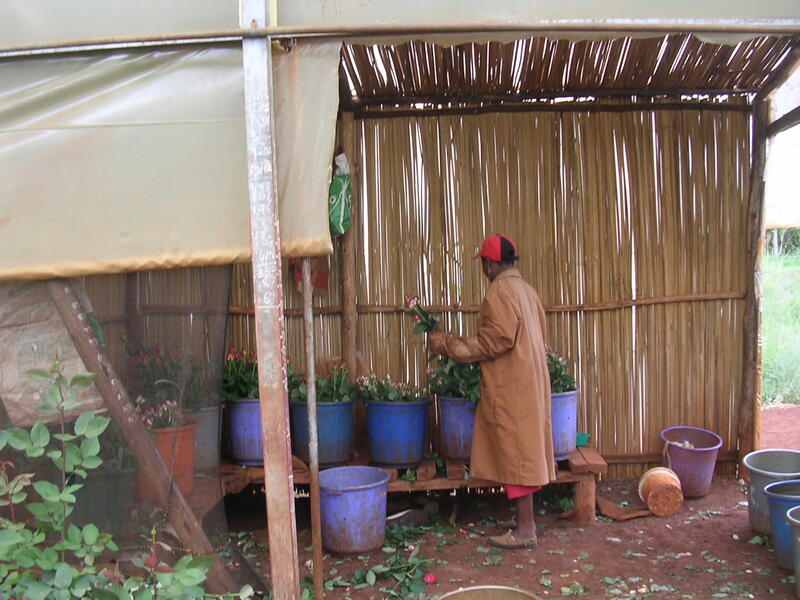 They spray water over the plants and as that water freezes is releases heat to the plants and flower buds which keeps them from being damaged. I know it is counter intuitive but thermodynamics always was to me. They have to keep the water flying until it starts to melt again. It is an even harder job when the wind is blowing, which it is supposed to do with some vigor. For us we cover what we can with floating row cover, maybe several layers and hope that is enough. We don’t have enough water or the equipment to do the overhead sprinkler system the strawberry growers do and our crops are too tall anyway. The blueberries have been blooming for weeks and should have set enough fruit that won’t be damaged unless it drops really low. The viburnums which are up to twelve feet tall will just have to stand and bear it. If we sprayed water on them we would do more damage with broken branches from the weight of the ice than the blooms are worth. 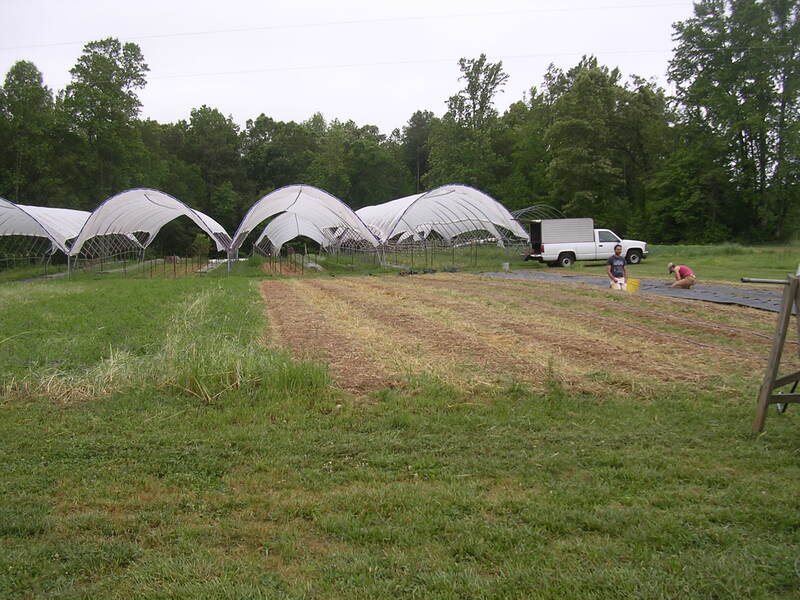 The two crops we are most concerned about are the tomatoes in the sliding tunnels and the dutch iris in the field. The tomatoes we will drape the floating row cover over the tops of their trellises as a second insulating layer under the greenhouse plastic. Batten down the plastic as best we can and usually we are good down to the low 20’s. The iris are another level of difficulty. Tall, spindly and spiky we will have to construct some kind of structure that will support the row cover and then try and hold that suspended fabric on in the high winds, makes thermodynamics sound easy. Of course the rest of the farm work must go on. 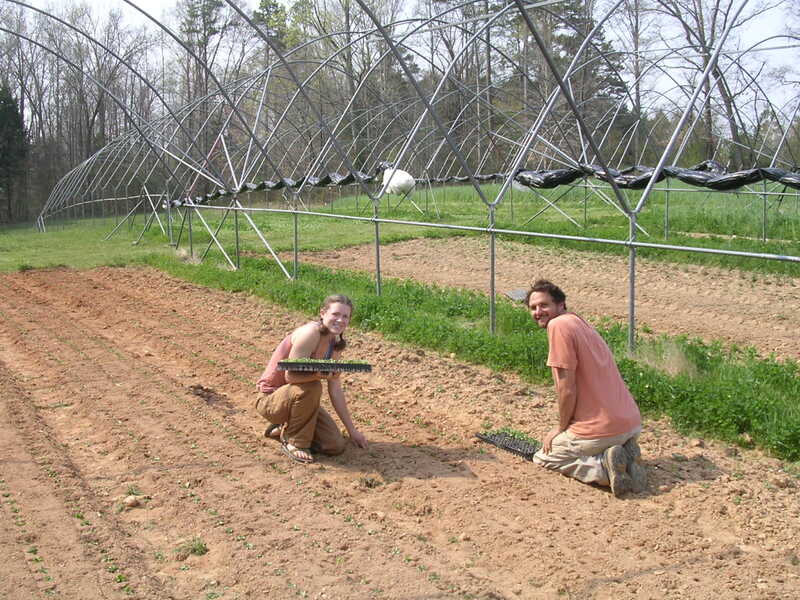 We now have over 100 beds planted (an acre plus) and have been busy getting them weeded and setting up irrigation. We should finish that up today and give everything a good drink. Watering them will not only reduce their stress heading into this cold but wet soil holds more heat than dry soil so it will also help everything through the cold snap. 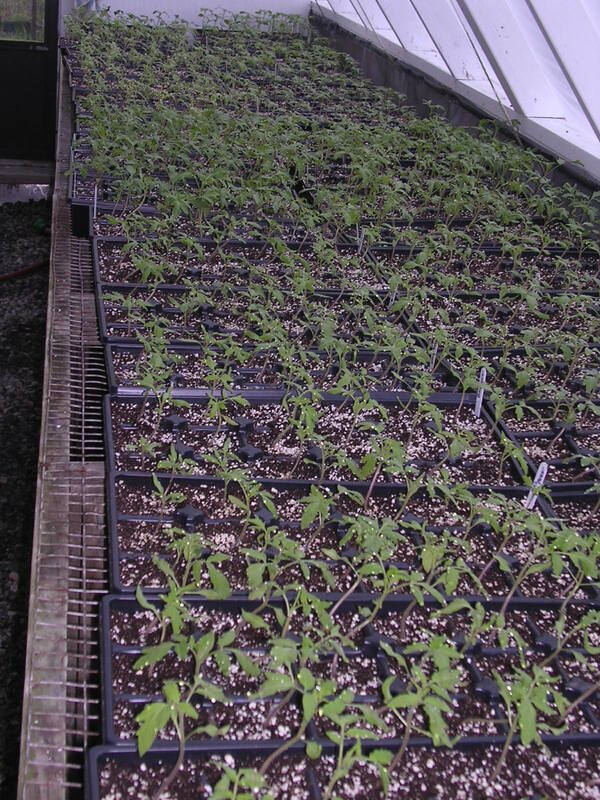 We moved the 800 tomato seedlings up to their larger four inch pots. 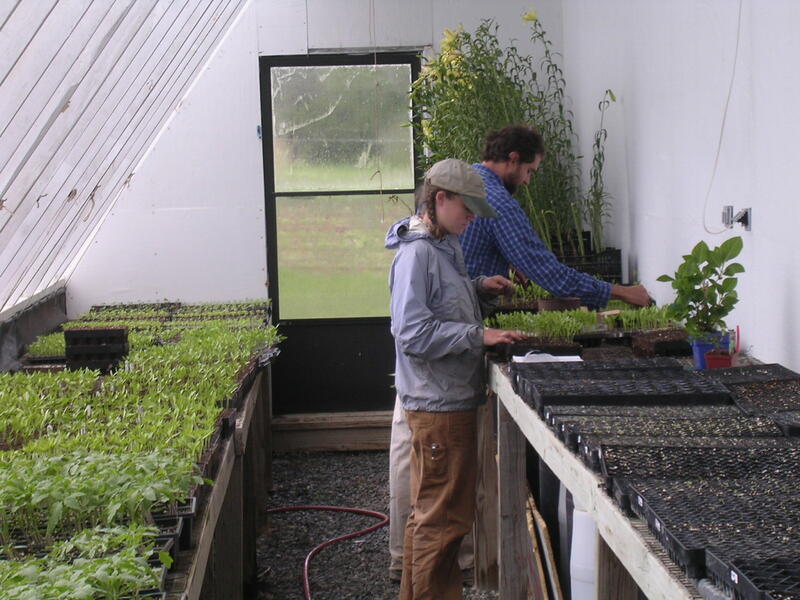 We start them in smaller containers so we can get good germination and then move up only the best looking plants. It is tedious work especially considering there are eighteen different varieties that one could easily miss label! This batch of tomatoes will go out into the field in just over two weeks. Wow, that was cold! Five mornings in the twenties with the nadir Sunday morning at 20 degrees! Everyone wants to know what the damage has been to the crops but it is really too early to really tell about most of them. The tomatoes survived with some severe freeze damage on the outside rows but they all should grow out of it. The cucumbers look unscathed, amazing. The dutch iris actually look great, Betsy has begun to cut a few. and we haven’t had any open completely yet but so far they appear to have no injury. The big question is the blueberries. That will take a week or more for the damage to be really apparent. This freeze is very similar to the April freeze in 2001, when it was 24 degrees on the 18th with high winds. That season we lost all the blueberries. Most of the rest of the crops look fine, the sugar snap peas are burned a bit along with other odds and ends of crops. Time will tell. Monday I gave my last big presentation of the speaking season in Spartanburg, SC. While I have traveled around the country quite a bit giving talks on all kinds of farming subjects it is these full day workshops that I seem to becoming known for. This one, for 60 farmers and other ag related folks, is at least the fifth or sixth where I hold forth for an entire day, attempting to cover the entire subject of organic/sustainable vegetable production. Can’t be done really. The best part, is that after an entire day of examples and pictures I think they go away with the most important lesson: this kind of farming is an interrelated system where each action the farmer takes affects other things up and down the line. Sure they go away with a big notebook full of information, and lots of details on soil management, how to control weeds and more but it is the big picture that I hope has become clearer to them. It is hard to get a grasp on this complex system when you only hear someone speak for and hour or so. 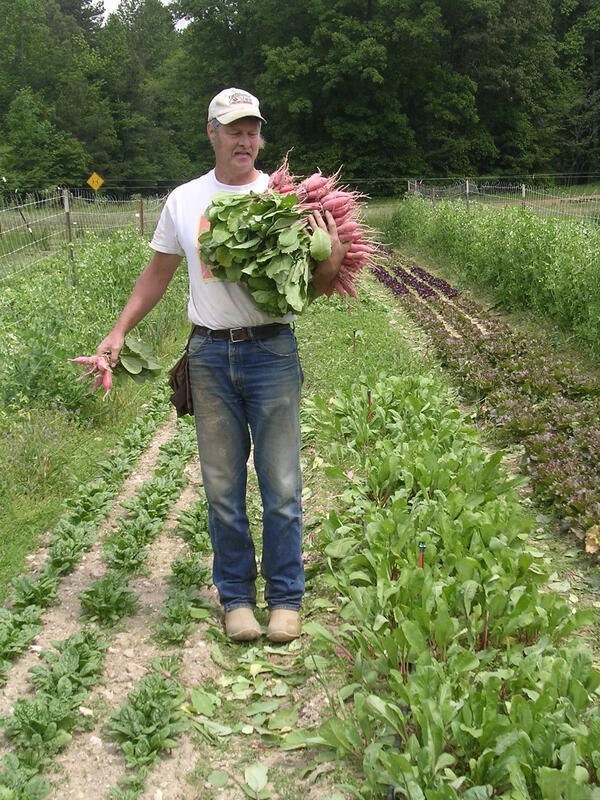 I am currently working with the Southern Sustainable Agricultural Working Group (SSAWG) on a CD-Rom on Organic Vegetable Production and Marketing that is modeled after my full day workshops. 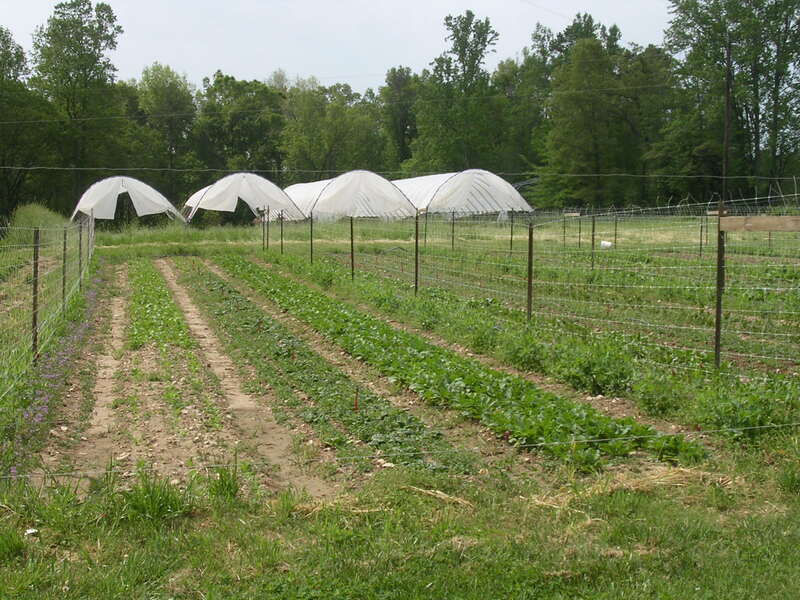 Now all of this is really just the Readers Digest version of the Sustainable Vegetable Production course that I designed and taught for five or six years at the Sustainable Farming Program at Central Carolina Community College in Pittsboro. There I carried on for three hours a night for sixteen weeks! Full immersion for sure. Now the real benefit for Betsy and me to all of this is that the more times I have to explain to people how we farm, the closer I scrutinize why we do things in certain ways and, hopefully, we refine the system even more. After two straight Wednesdays of early starts to cover the Big Tops I am finally back on schedule with the news from the farm. It’s hot and getting dry, dry, dry and we are working to get enough water on everything but the newly transplanted small seedlings would really like a rain to get them established. Our standard spring planting procedure is to plant on days just before a rain is due to arrive so everything gets a good drink of water. 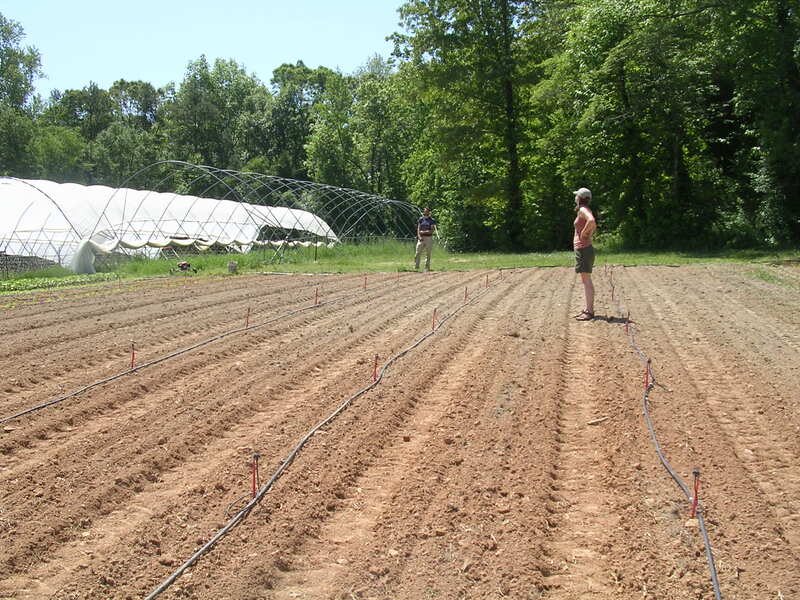 The past few weeks the weather has not cooperated in that way so we move to our summer dry weather system of preparing the planting bed and then burying a drip irrigation line right down the middle of the bed. We then plant the bed and drag a hose along to water the little plants in well and then let the buried irrigation take over. This irrigation line is buried just a few inches deep so we can weed over it but it also makes it so the water, that slowly drips out of its openings, moves out through the soil soaking the bed and the plants roots. That’s the theory and generally it works. When the top few inches of the soil is as dry as it is now and a hot dry wind blows it is almost impossible to get the whole bed wet with the irrigation line. We would have to run it for hours and hours to wet it completely and then the established plants in neighboring beds would be too wet. So the next move, if the rains don’t come and the little plants are drying out, is to roll out the micro-sprinklers to artificially rain on them. These little sprinklers run on low pressure like the drip irrigation lines do but can throw a fine spray up to ten feet but then we irrigate up the all the weeds too. No easy solution other than a little rain, maybe tomorrow? For the second year in a row we are working with NC State on an interesting research project with grafted tomatoes. In other parts of the world with limited agricultural land and intensive plantings it can be very easy to begin to have problems with soil-borne diseases from planting the same kinds of crops in the same place year after year. One solution is to use a disease resistant rootstock and graft the variety of vegetable you want on top of it. Just like fruit trees where they use rootstocks to control the size of the tree and then put say a Golden Delicious on top. In places like Korea and Japan and Israel a large percentage of their tomatoes, melons and other fruiting vegetable crops are now grafted. Last year we/they tested two rows of tomatoes here on our farm, just out in the field, testing three different rootstocks just to see the growth and yield differences. This year they wanted to have the research plot under the Big Tops just like the rest of our tomatoes and to use one of our usual varieties. So we decided on testing our favorite tomato, Cherokee Purple. We grow more Cherokee Purples than red tomatoes and so it is a very important crop for us. Just in case they had trouble producing the grafted transplants in the lab at NC State we started a whole set ourselves so we wouldn’t be without our favorite kind, assuming we would just give those plants away if the graduate student ended up with enough plants. Then we got nervous and decided to plant those plants anyway just in case there was other difficulties with the grafted plants, this is research after all, things can happen. So now we have twice as many Cherokee Purples than ever before! It could make for a very tasty July! Blackberry winter is what my father always called these times in late spring when we get abnormally cool periods. Not really abnormal as it seems to happen every year, and it is when the blackberries are blooming along the roadsides. 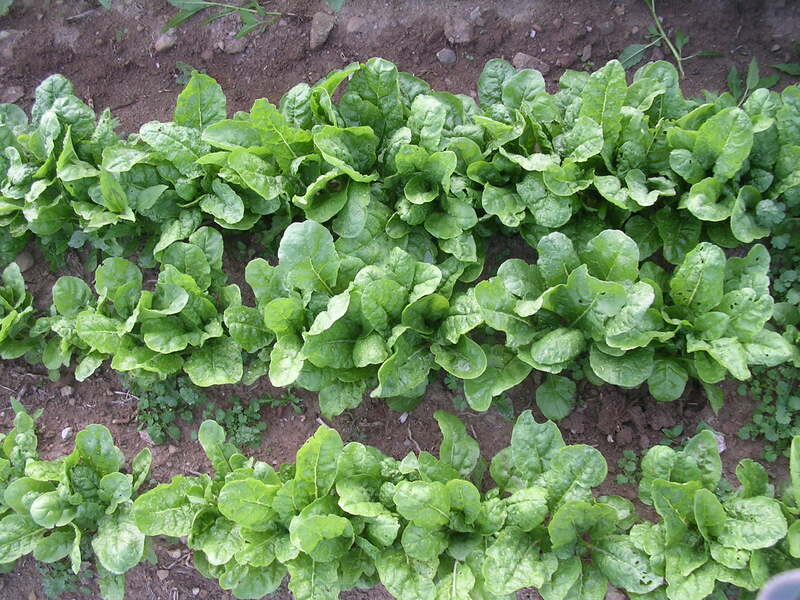 We were in the high 30’s on Monday morning and all of the crops, except for the lettuce maybe, are looking skyward wondering when the heat will come and make them bust out in profusion. Another Mother’s Day and graduation upon us and Betsy is wondering just when all those flowers will start to bloom too. There is a bloom here and there just teasing her and the plants are looking really good and full of buds. This is the story the beginning of each May when the big question from Weaver Street, graduates, parents of graduates, brides and others is “When will you have more flowers?”, we just shrug and say probably the week after Mothers Day. It does seem to be exaggerated this year due to the tremendous cold snap at Easter, it really made a lot of crops just stop and it has taken some time for them to get rolling again. The last big hurdle is in front of us this week. Pepper planting. Now that the tomatoes are in and looking really great, the last of the large plantings is upon us. From here on we only plant a few beds a week and never are they as important to the whole farm as the big pepper array is. Twenty two varieties this year including a few new ones. The best part is we are in one of the best fields we have. Great soil and sun, the last time we had peppers here (2002) it was a superb crop. The plants look as good as they ever have too. Good germination and they have grown well and look very uniform. Sometimes, especially with the hot peppers, germination can be poor and then they can take forever to get going. The last few years we have gotten into the pattern of planting the peppers in two stages. 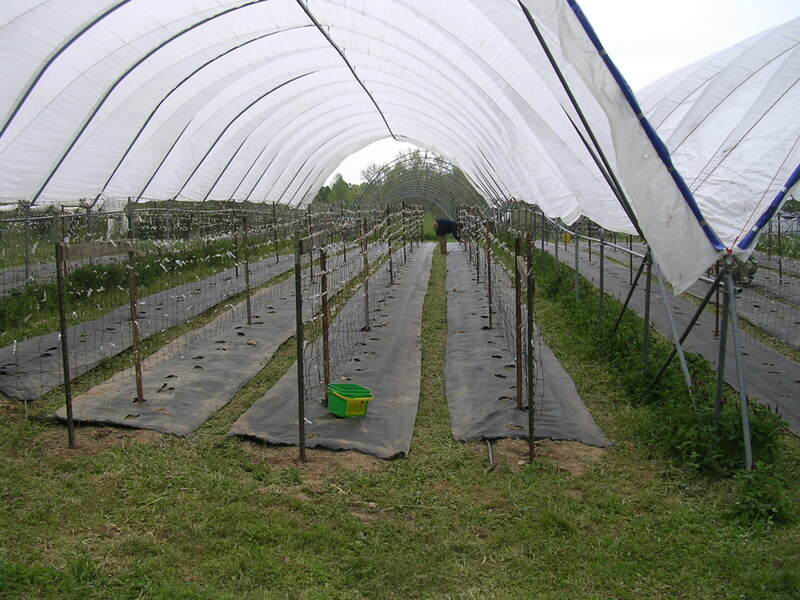 The first half go into raised beds covered with black landscape fabric which warms up the soil a bit faster. We put the hot peppers and some of the finicky sweet ones into these beds, I think they need the additional boost the warmer soil gives them. In the second planting stage, all of the red bells, and half of the yellow and orange bells, we plant “no-till” into the remains of a huge cover crop of rye and hairy vetch. There are many reasons why we do it this way but better long term soil management and less disease on the peppers are the main ones. We have been experimenting/working with this system since 1995 and each year we refine it. This year is exciting as we have new tractor implements that we hope will make it really easy to plant into the thick residue from the cover crops. Again this spring we may have to wait another week to get them in the ground because it is impossible to kill the cover crop organically until the hairy vetch is really blooming. Like everything else, it is delayed from all of the cool weather. Once the rye has sent out its seed heads and the hairy vetch is in full bloom we can just roll down this mass of plant material which crimps the stems and they give up the ghost and die. 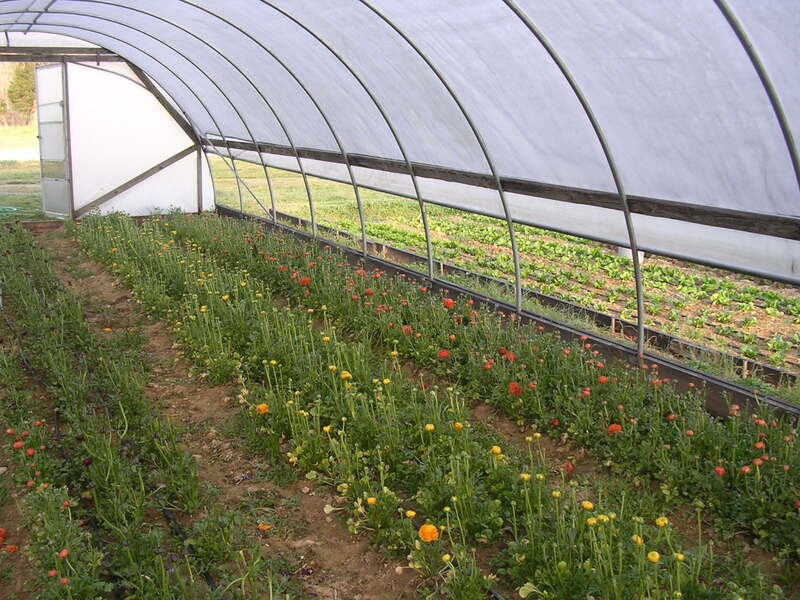 If they are not blooming then, even with the rolling, they have a will to live and make a seed that allows them to re grow which then makes them a pesky weed in the peppers. Patience is the key, they began blooming nicely this week so next week will be just fine. Preparing the pepper beds for planting, no-till on left, tilled with fabric going on, on the right. Whew! Petrini week is over. Three days that felt like a week, but it all went beautifully. Monday was like a normal Friday for us as we harvested almost as many vegetables for the CEFS-Slow Food picnic as we would in getting ready for the Saturday market. The staff worked a full day (Mondays are generally half days) to make sure we could get everything done because we had lunch guests coming the next day. You may remember in last weeks newsletter that Carlo Petrini and his Slow Food compadres were going to tour some farms around the area, well we found out on Friday that not only was he going to come see us but also have lunch here on the farm! Lunch here? I wondered how the founder of a movement that “celebrates the pleasures of the table” would feel about peanut butter and jelly sandwiches. We had a plan, call some one else to help! It’s not that Betsy and I aren’t good cooks with plenty of great material to work with we just had a few more things going on like helping with all of the events including donating all the flowers for them, oh and we had a farm to run. We have several good friends who are excellent cooks that we could call on but our first call was to Anne Everitt who you may remember used to be the manager of the Farmer’s Market as well as pastry chef at Elaine’s and Lantern restaurants. Anne immediately swung into action designing a simple but refined menu using mostly Peregrine Farm ingredients along with other local and NC foods. With the help of Amy Eller, formerly communications director for the Carolina Farm Stewardship Assoc., they took over our kitchen and chopped, sliced and washed there way to an extremely tasty meal. The next day, when asked by a reporter what was the best meal he had eaten on his three week tour of the US, he said he thought it might have been the lunch here at Peregrine Farm! By 1:00, when they arrived, the table was set up under our former pick your own stand in the shade of the huge tulip poplar trees with views of the farm. We took a short walk around the farm and then retreated to the lunch, Italian style. We had good discussions with all the Slow Food folks about this area and how lucky we are to have great markets, customers, non-profits and lots of small farmers. More importantly we were able (Betsy in her hard earned Italian) to speak privately with Carlo about our Italian farm family and their struggle to keep there farm from being sold out from under them. Their situation is a long and complicated story but since last fall we have been trying to enlist Mr. Petrini’s help. He is a very influential figure in Italy especially the Piedmont region where our friends farm. If we could get him to say a few words to the right folks in the regional government it could save their farm of five generations. He said he had received our letter and had called the regional President but that it was messy situation. He then promised to contact our friends when he returned to Italy to get the whole story. At that point he pulled out his cell phone and dialed their number (which Betsy just happened to have in her pocket)…they did not answer. We feel sure that he will contact them and help when he gets back to Italy! The rest has been a whirlwind. As soon as they left the farm we had to rush over to the picnic to get set up including all of the flowers that Betsy, with the great help of Jennifer Delaney, had arranged. A very enjoyable event with great food and everyone really seemed to enjoy it. It was hard to believe that there were almost 400 people in that field. Mr. Petrini and friends seemed to have a really good time and were (I think) further amazed at our local food community. Yesterday the drum beat continued. Get ready for the Wednesday Farmers’ Market, which the staff was to be dispatched to while Betsy and I headed to Raleigh for the final two Petrini events. We had to arrive to the reception early to set up the flowers there too. The Friends of CEFS reception was well attended which then flowed next door to the final event, Carlo’s presentation about the meaning and value of preserving food traditions, defending biodiversity, and protecting food that is good, clean and fair. Nearly 1000 people were in attendance, and even though he spoke with an interpreter, they all seemed to take away some important messages. With it all over we limped home. We didn’t mange to get any pictures but friends where taking lots so hopefully next week we can have a Carlo Petrini picture of the week.